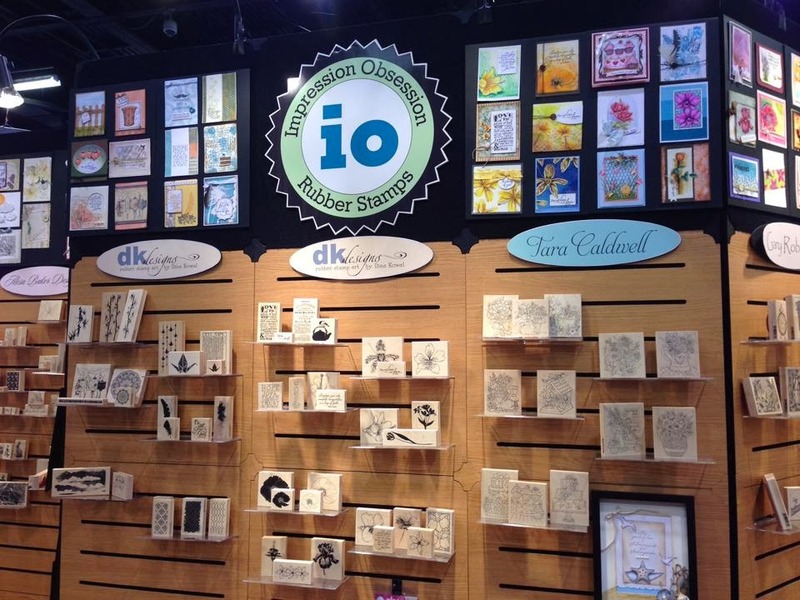 I'm not able to be there, but here are a few pictures of my stamps 'live' at the Impression Obsession booth at the CHA Mega Show in Anaheim! 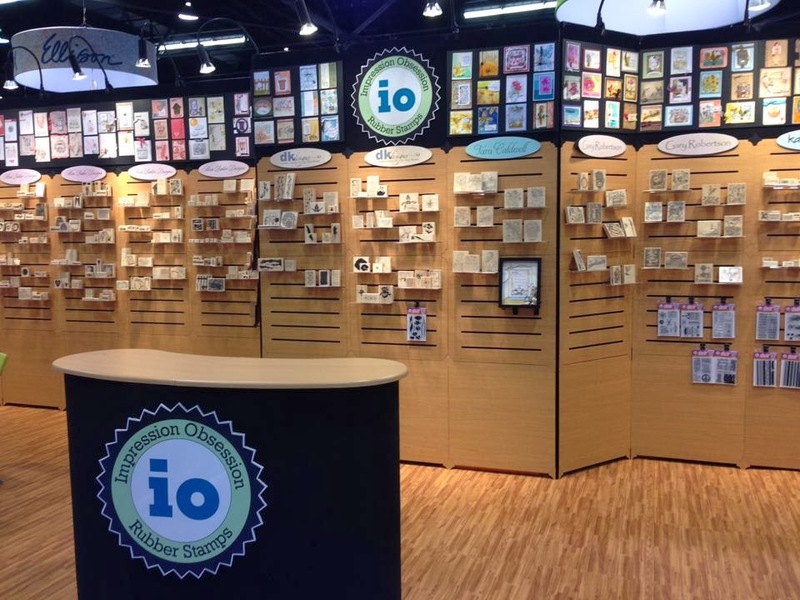 This is the largest show of its kind in the world, where craft and hobby designers, developers, companies, and creative minds meet in one place to promote the newest products and releases in the industry. Next year I'll be there! Next year. My designs are available online HERE. 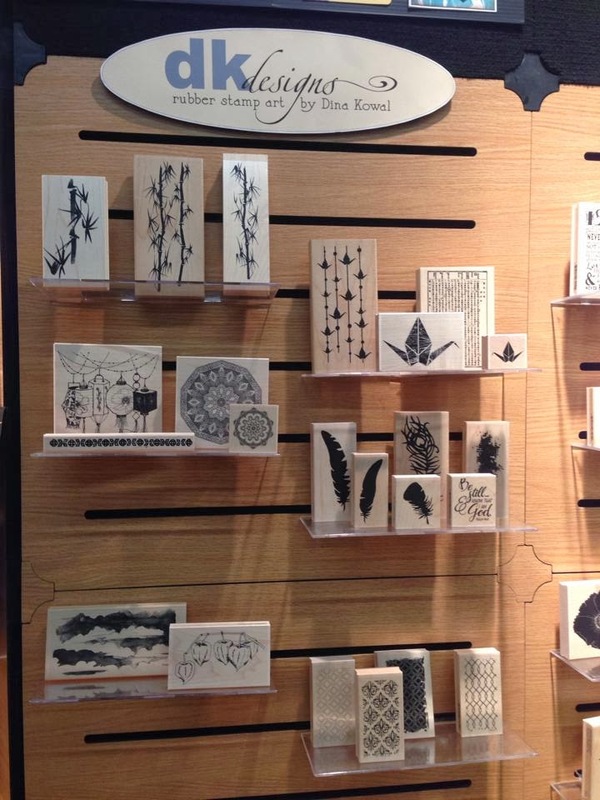 I've just posted more pictures from the show on our Convention board on Pinterest - if you'd like to see more pictures of the display and sample boards, click HERE! Dina - they look fabulous! Congratulations and best of luck with your line! 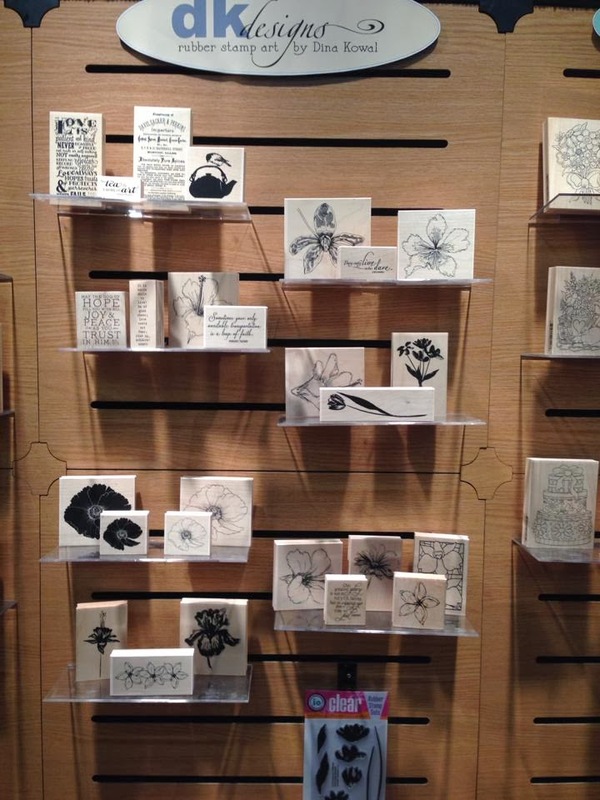 So impressed with this display, Congratulations on the fine artist talent. Love all of your stamps (wish I could own them all too...well, eventually, ha!) and this new release is strong and wonderful. I love that you have included some of your sketches. And I totally love your asian stamps, the lanterns, the paper cranes, the asian script background. Really wonderful! Congratulations. We are cheering for you back in the states. :) Thanks for sharing.